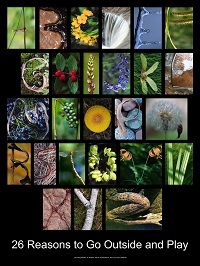 Order your own Nature Name! 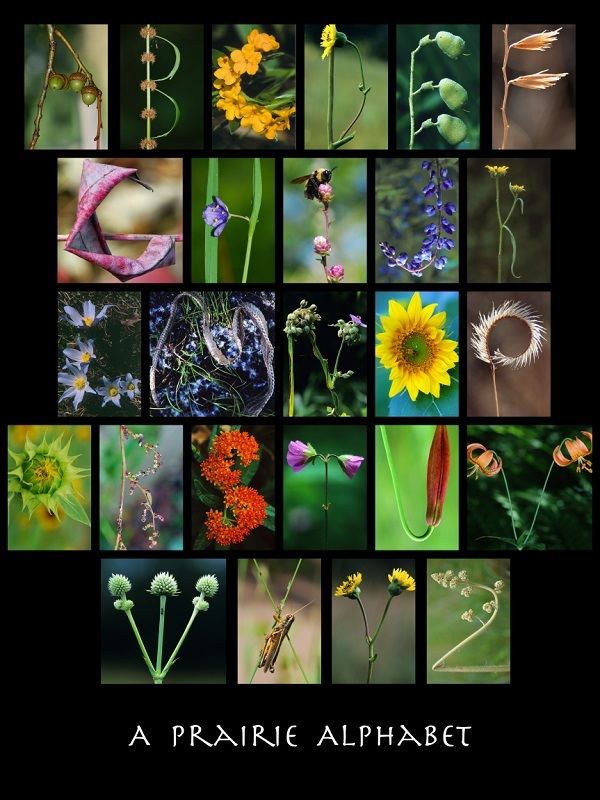 Wild Alphabet Press creates custom framed alphabet art with original color nature photographs by Jann Kalscheur and Lynne Diebel. Wild Alphabet personalized art makes a wonderful gift for weddings, anniversaries, graduations, new babies, house warmings, birthdays and holidays. Special Orders: If you would like us to help you create a custom product of your own choosing, please contact orders@wildalphabet.com. For our art fair schedule, visit our facebook page or email orders@wildalphabet.com with "join wild alphabet" in the subject bar. We send ten emails a year and we never share our list. Type a name, word, or number (2-11 letters or numerals) into the word bar. 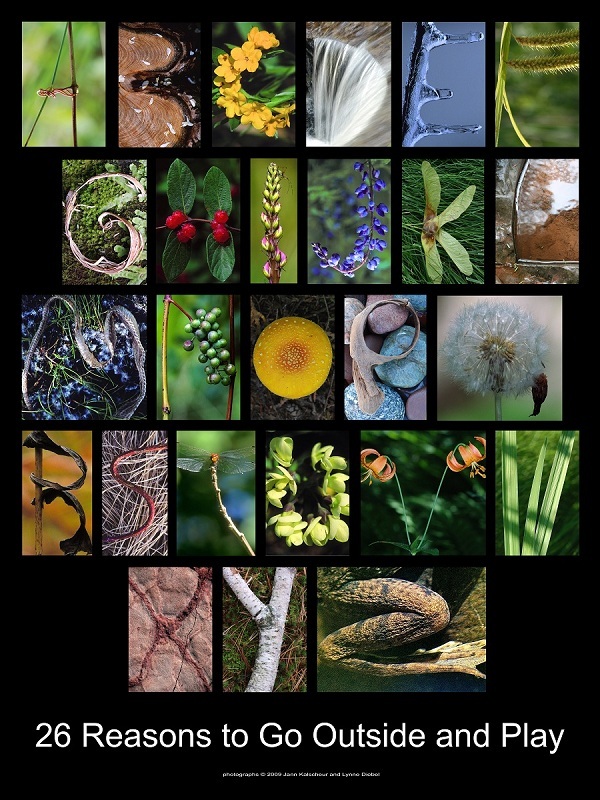 Scroll through the choices for each image (images are 2"x3") to create the combination you want. 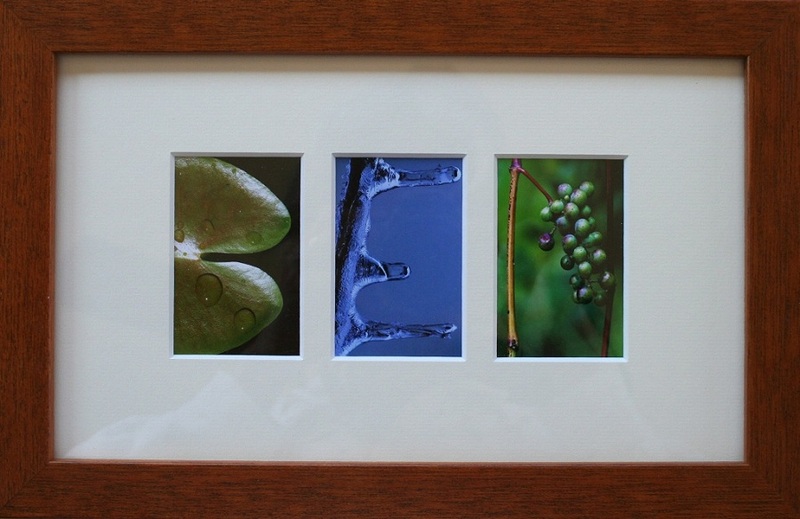 Select your framing style: Black Frame/Black Mat or Fruitwood Frame/Cream Mat. Mock-up only, final product appears as in examples below. Click arrows under images for more choices. Invalid number of letters in word. Please enter a word between 2 and 11 letters long. 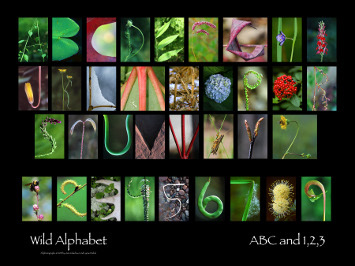 Celebrate a wedding, birth, graduation or other special date with framed Wild Alphabet numerals. Name(s) printed in Lucida Handwriting font. 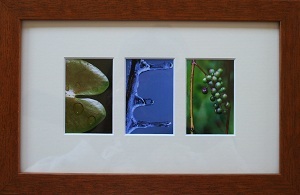 Choose from five framing styles. All posters are unframed, printed on art paper with archival inks, fit into a standard 18" x 24" frame (not included), and packaged in a clear sleeve. All posters ship rolled, in a USPS mailing tube. ABCs Naturally by Lynne Diebel and Jann Kalscheur. Buy now from Barnes & Noble. 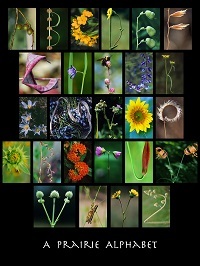 All Wild Alphabet photographs are taken by Jann Kalscheur and Lynne Diebel. Since 1988, they've been alphabet hunting in Wisconsin, Michigan, Minnesota, Ontario and occasionally Texas. All images are just as they found them in nature, no manipulation or editing allowed. 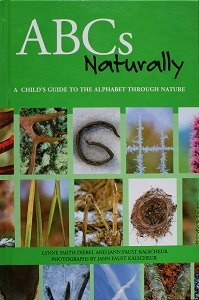 In 2003, Trails Books published their book ABCs Naturally, featured in the September 2007 issue of Ranger Rick magazine. And since 2010, they've been framing their art at summer art fairs in Wisconsin. Website design by James Diebel. Yes, we take orders and credit card payments by phone. Please call 608.220.8716. Can I get more than 11 letters framed? Yes, we frame up to 15 letters in the 2"x3" image size as Special Orders. Please contact us at 608.220.8716 or orders@wildalphabet.com. What size are the pictures? Our standard size is 2"x3". We also frame from 3-9 letters in the 4"x6" image size as Special Orders. Please contact us at 608.220.8716 or orders@wildalphabet.com. We ship by UPS or USPS priority insured mail, depending on your location. Standard orders to locations in the US take less than a week to arrive. Special Orders take 2-3 weeks to arrive. No, but we do custom framing at summer art fairs in Wisconsin. Please visit our facebook page for the schedule. Can I buy just the photographs? No, we only sell our images in our frames. Copyright © 2013 by Diebel & Kalscheur, all rights reserved. All images appearing on the Wild Alphabet web site are the exclusive property of Diebel & Kalscheur and are protected under the United States and International Copyright laws. 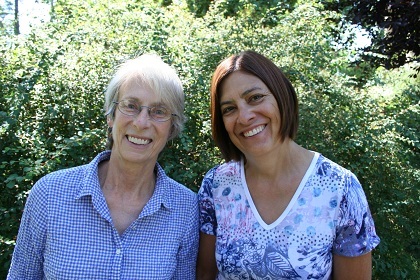 The images may not be reproduced, copied, transmitted or manipulated without the written permission of Diebel & Kalscheur. Use of any image as the basis for another photographic concept or illustration (digital, artist rendering or the like) is a violation of the United States and International Copyright laws. All images are copyrighted © 2001 - 2013 Diebel & Kalscheur.